See our Canon shop for full range of Canon products. 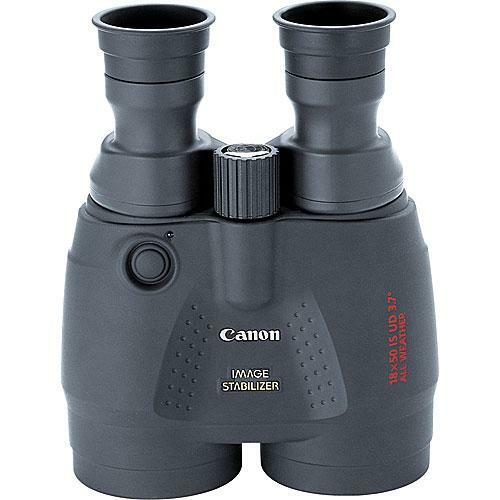 The Canon 18x50 IS Weather Resistant Binoculars have an extraordinary resolving power of 18x50 and an Image Stabilizer that counteracts hand tremors for ±0.7° movement in all directions enabling you to use it effectively from a moving vehicle. 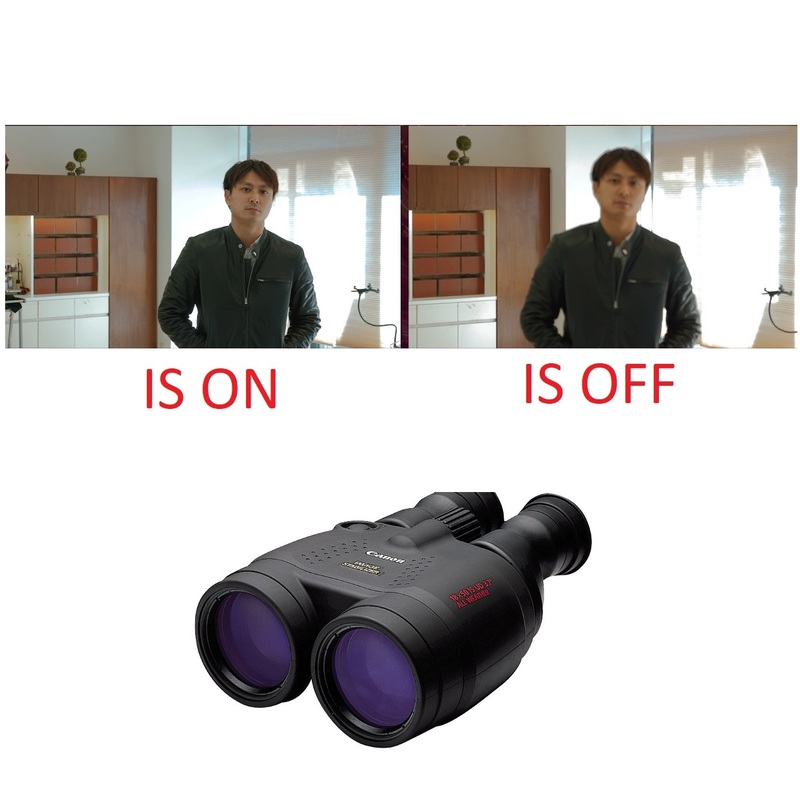 It uses a narrative Vari-Angle Prism (VAP) that creates modifications to preserve a stable image and its optical manufacturing offers wide apparent field-of view. 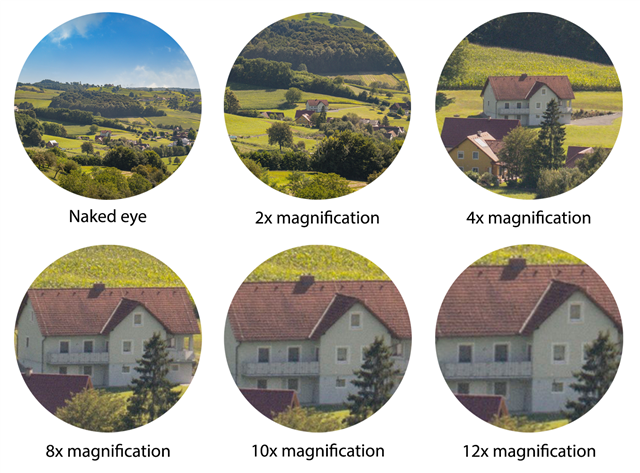 The quiver free presentation of 18x50 IS Binoculars not only improves your skill to vision fine details but also decreases eye damage and exhaustion. With waterproof housing and no tripod use it helps you enjoy viewing extremely distant objects for example boat race, surfing or skiing. Its features include; field-flattening lenses improving edge-to-edge sharpeness, eye relief of 15mm, UD Ultra-low dispersion glass elements and a close focus distance of 19.7’. 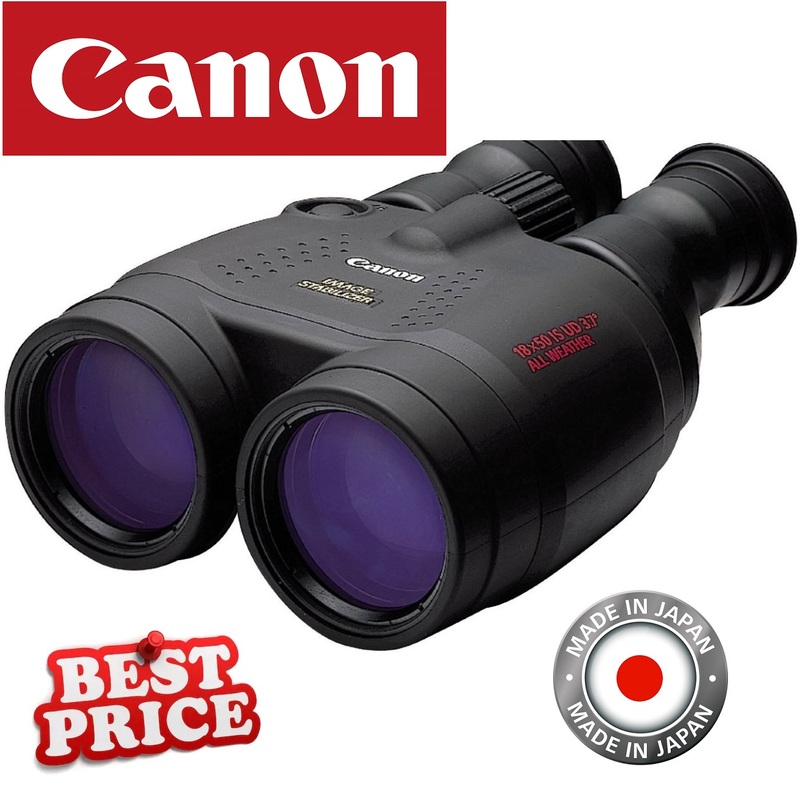 For more information about, Canon 18x50 IS Weather Resistant Image Stabilized Binocular website. 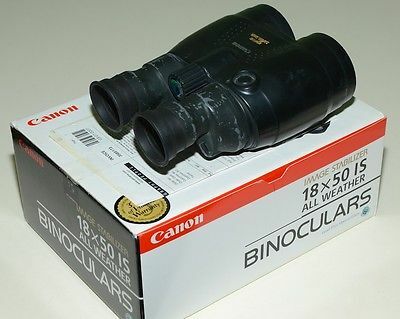 I have always found 10 x 50 binoculars dificult to hold steady but these with nearly twice the magnification are easy. They give a true image when wearing specs. An expensive concept but well worth it if you can afford the price. Perfect transaction and next day delivery quality of product top notch thank you.